Why are Pure Essential Oils so expensive? Why are these tiny bottles of pure essential oils so incredibly expensive? I have been addicted to Aromatherapy for such a long time. I love these little gifts from nature that can make healing smell so delicious, but some sure do come with a hefty price tag. If you have never experimented with essential oils, it can be so tempting to run into the discount store and score a little brown bottle for $2.00 and you are good to go. Please do me and your family a HUGE favour and leave them exactly where you found them. 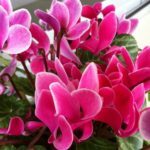 They are created synthetically, so they are simply chemical cocktails that pretend to smell good, and they don’t even do that well. Pure Essential oils on the other hand are produced from plants. Flowers, fruit, stems and even some barks are used to create these delicious aromatics that can be incredibly effective for helping the body heal, uplift your emotions or are a viable alternative from chemical based cleaning products. * It takes approximately 100 kg of lavender plants to yield 1.5 litres of pure essential oil. * It takes 8 million flowers, all hand picked before the sun rises to extract jus 1kg of jasmine oil. * You need 100 kg of rose petals to yield only 20ml of oil. * Essential oils are usually sold in 12ml bottles and these contain 240 drops – for direct massage you use 3 drops, in a burner you use 6 drops and in a bath you use 9 drops. So each bottle has a lot of applications in it. As you can see, it takes a lot of natural resources to create these precious oils. It is imperative that you use quality essential oils if you wish to enjoy better health. Many people are put off from trying aromatherapy because of the cost. Young Living and Doterra are a major reason that the costs appear to be so high. I have used both, and their quality is superb, but their prices are heavily loaded to ensure that their consultants earn good income. Not just the person that introduced them to you, but well up the line also receive monetary reward. I have no issue with MLM companies that offer a good product, but I am a bargain queen and I always want the best for less. Thankfully I have found some great alternatives that supply awesome product without all the commissions loaded in. Perfect Potion stores are one of my fav places to wander around. Beautiful scents and beautifully designed stores make shopping a pleasure. The quality is excellent and they also have lot’s of other products such skin care and detox teas. When it’s time to do a restock, I can’t go past New Directions for quality and value. 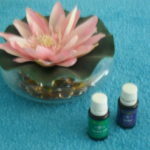 They have a huge range of essential oils that you can buy in a variety of bottle sizes which is handy. Essential oils that I use a lot I buy in bigger bottles and just get tiny ones for the oils that I only use occasionally. They also have fabulous fragrance oils that I do occasionally use and even goodies you can use to make your own skin care etc. 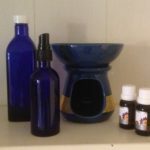 If you have never experienced aromatherapy, keep your eye out as I am going to be doing some introductory posts on how to set up a basic kit for home and the myriad of ways they can be used. Do you use pure essential oils at home? 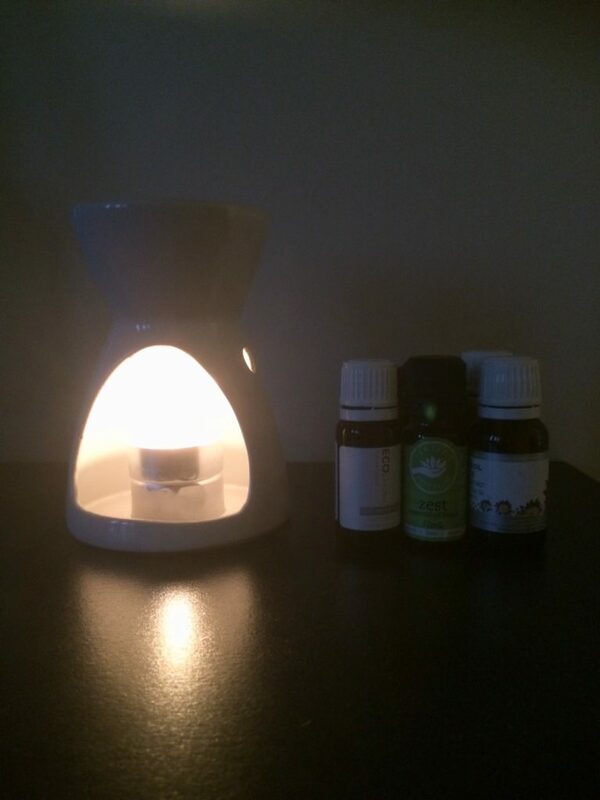 Aroma-Therapy Thursday – Wonderful Winter Blends! This was really useful thanks Nikki. I have recently done yin yoga training and many teachers like to use essential oils (in a spritzer form) to add the esoteric healing element to the class. I haven’t really experimented much. I know my teacher users Doterra but the expense is really high as you say. I’ve heard of Perfect Potion so I’ll follow your recommendation. Thanks again. I always wondered why essential oils were so expensive. I don’t buy a lot of them, because of the price, but I love the idea of them. Collecting essential oils is a good thing to just do slowly, thankfully they have a very long life span. I’ll admit I have a bunch of $2 shop ones at home but I never use them. I think it would be better to buy the proper ones – not only because they’re the real deal but also because if you’ve spent money on something you’ll engage with it in your life! So true Vanessa, cheap is not always best.